The Employment (Amendment) (No. 2) Ordinance 2018 (the “Amendment Ordinance”) was passed by the Legislative Council on 17 May 2018 and took effect on 19 October 2018. Under the Amendment Ordinance, the Labour Tribunal is empowered to make an order for reinstatement or re-engagement of an employee in the event of unreasonable and unlawful dismissal without the need to first secure the employer’s agreement if the Tribunal considers that making such an order is appropriate and practicable. What is unreasonable and unlawful dismissal? Under the Employment Ordinance (Cap. 57) (the “Ordinance”), unreasonable and unlawful dismissal refers to situation where an employee is dismissed by an employer without a valid reason and in contravention of the provisions of the Ordinance. any other substantial reasons deemed by the court or the Labour Tribunal to be sufficient to warrant the dismissal. dismissal by reason of the employee giving evidence for the enforcement of relevant labour legislation. What is an order for reinstatement or re-engagement? An order for reinstatement is re-employment of the employee by the employer, and the employer is to treat the employee in all respects as if he/she had not been dismissed or as if there had been no variation of the terms of the contract of employment. An order for re-engagement is re-employment of the employee by the employer, or by a successor of the employer or by an associated company, on terms comparable to his/her original terms of the employment or in other suitable employment. In the past, where an employee is unreasonably and unlawfully dismissed, if the employee makes a claim for reinstatement or re-engagement, the court or Labour Tribunal must seek mutual consent from both the employer and the employee before making the order for reinstatement or re-engagement. Under the Amendment Ordinance, if the employee makes a claim for reinstatement or re-engagement, the court or Labour Tribunal may make an order for reinstatement or re-engagement without the need to secure the employer’s agreement, if the court or Labour Tribunal considers that such order is appropriate and practicable. the relationship between the employer and the employee, and between the employee and other persons with whom the employee has connection in relation to the employment. If the employer does not reinstate or re-engage the employee as required by the order, the employer has to pay to the employee a further sum, amounting to three times the employee’s average monthly wages (subject to a maximum of HK$72,500) on top of the usual terminal payments and compensation payable to the employee as ordered by Labour Tribunal. If the employer wilfully and without reasonable excuse fails to pay the further sum, he/she will commit a criminal offence and is liable on conviction to a fine of HK$350,000 and to imprisonment for 3 years. The Amendment Ordinance marks a step forward for the statutory protection of employees. However, in the event where an employee is unreasonably and unlawfully dismissed, the relationship between the employer and the employee is likely to have been damaged beyond repair. If the employer can afford to pay the further sum, the employee who has been unlawfully dismissed and the employer does not want to reinstate or re-engage the employee, the employer may pay the further sum in order not to reinstate or re-engage the employee. 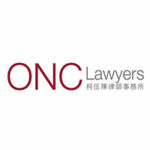 This article is written by ONC Lawyers and was first published on ONC’s website.